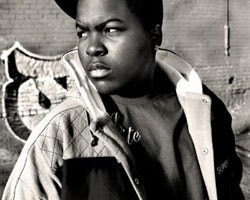 According to Ballerstatus, Sean Kingston is set to play The Notorious B.I.G. in the biopic about the late rapper's life produced by Diddy. Well, the kid looks just like him, but it can be really easy to mess this movie up! We'll see what happens! Our homie at Jesus Hearts Music has just posted that Fox Searchlight has denied that Kingston will be playing the role of Biggie. Instead, he points to 3 really good contenders. Check them out here. I can't get that song out of my head either. Guerilla Black i think can be the perfect dude to play Biggie..